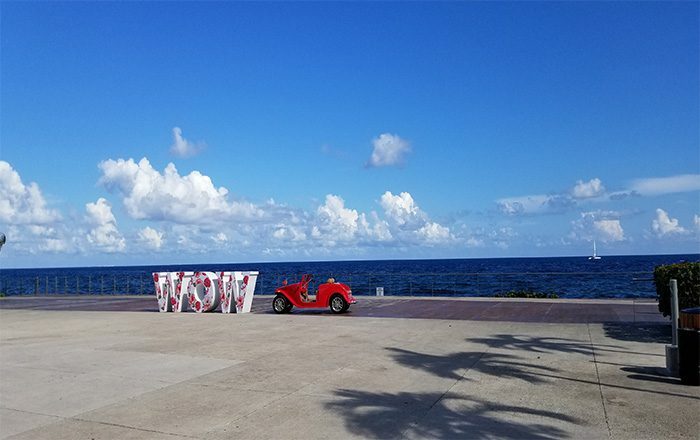 I Just returned from the WOW specialist training with Hard Rock Hotels in the beautiful Mayan Riviera, and learned all about organizing destination ‘weddings on water’. 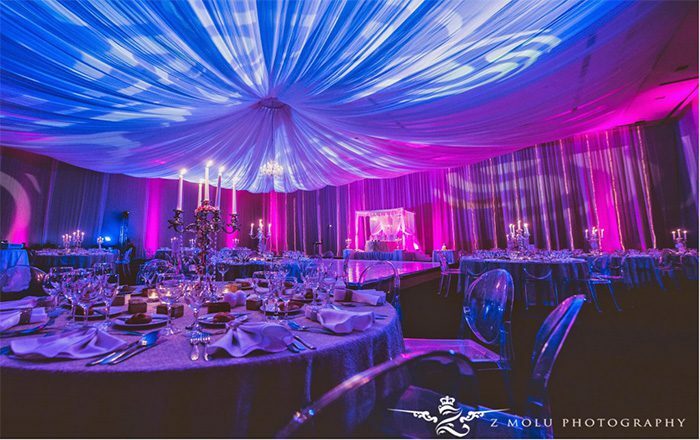 I was blown away, and am looking forward to sharing with our clients these exciting wedding packages! 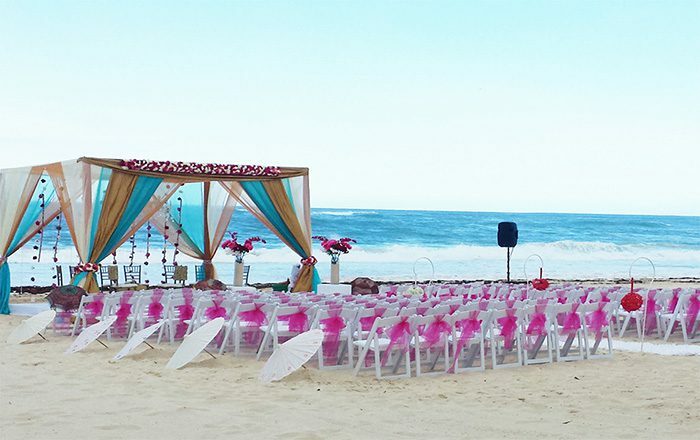 These properties are a ‘must see’ if you are thinking about having a destination wedding, and are looking for something fun, fresh and fabulous! Hard Rock hotels have truly perfected the art of hosting Rockstar weddings to meet every couples inspiration of their special day! With picture perfect destinations as the back drop of the beautiful Hard Rock hotels in Punta Cana, Mayan Riviera and Cancun Mexico, Los Cabos and Puerto Vallarta. Also, unique weddings at the UNICO and the Eden Roc hotel in Miami. It was exciting to personally witness the beautiful wedding collections from the famous designer COLIN COWIE. These collections range from complimentary to a variety of romance packages to meet every couples needs. At the Hard Rock Hotel Cancun, a luncheon was hosted for the WOW certification graduates and we got a chance to see the ballroom dressed with beautiful table settings, flowers, decor, light and audio show. We also got to taste the beautiful dessert creations from the local vendors that would keep your guests longing for more. Site inspections at the Hard Rock and Unico hotel in Cancun provided me with a great insight into the hotel grounds, venues for hosting different events, accommodations, restaurants, activities, meeting space, along with the very personable hotel staff that delivered high levels of service that exceeded my expectations! The experience and knowledge gained through this training will be valuable to share with respective couples based on their needs. Hard Rock weddings cater to a variety of clients with different ethnic backgrounds. 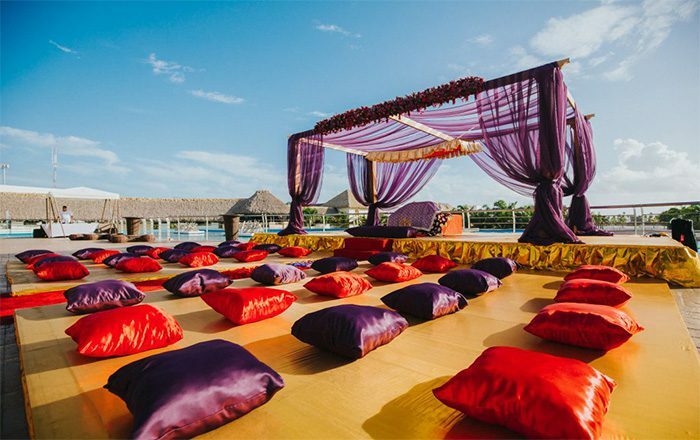 At Bains Travel, we have booked countless Indian destination weddings and highly recommend the ISHK Rock package offered by the Hard Rock hotels. 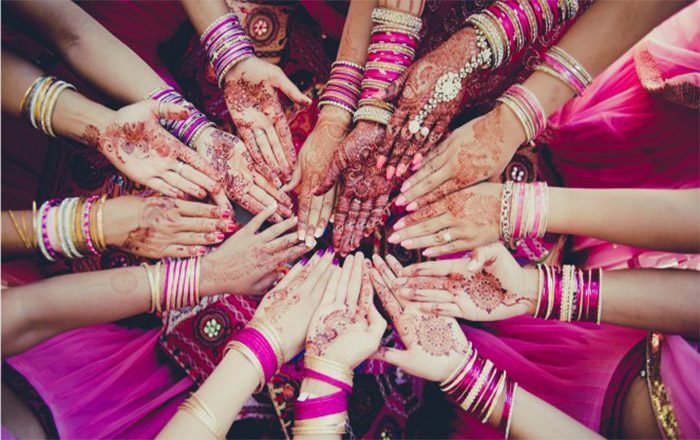 All unique requirements of an Indian couple are taken into account in the creation of this package. 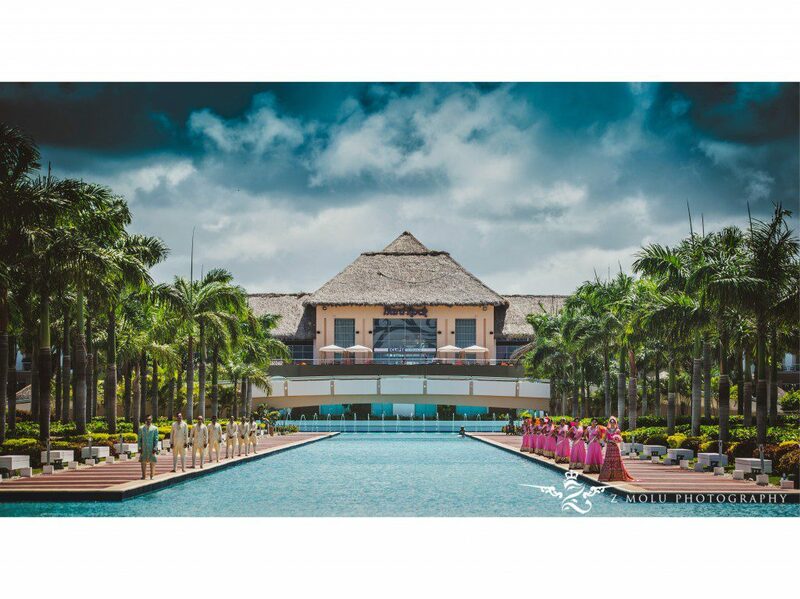 I have 10+ years experience organizing weddings for couples from diverse backgrounds, am a Distinctive Destination Wedding Specialist, and am armed with the ‘WOW’ Hard Rock Certification! 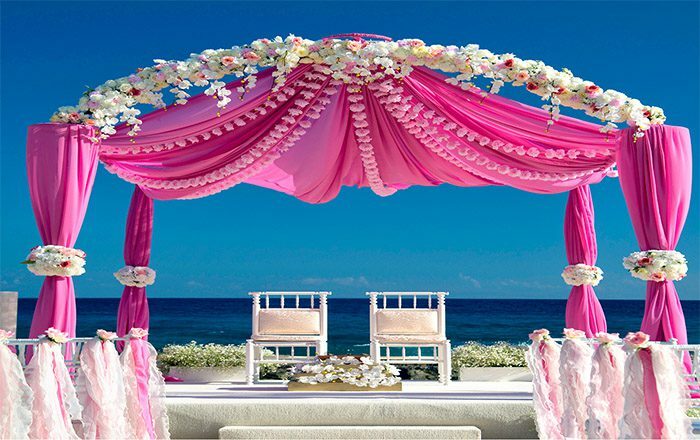 Bains Travel is the right agency to help you realize your rockstar dream wedding at destination. Some benefits of booking with Bains Travel are affordability, knowledge and experience, convenience, and high levels of customer service. Our planning services are complimentary, and we work relentlessly to find the right destination and price to suit your needs!